Scott Beaton was born and raised in Calgary. He began his cooking career at the age of 14 as a part time job while in high school. 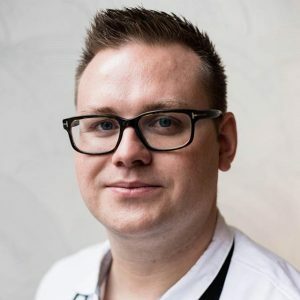 Scott soon realized his passion was food and has spent the past 20 years working in kitchens and travelling to some of the best restaurants in the world to further his knowledge of the culinary world. Scott’s passion for food has helped him grow as a chef through his roles at Teatro, Catch, Anju & Native Tongues. After travelling to Hong Kong his love for Chinese food became apparent and once he returned he quickly began talks with Cody Willis about how they could pursue both of their visions. Scott hopes to allow Calgarians to see Chinese food in a new way with authentic flavors yet with a modern unique twist.